Hopefully the arduous task of gathering forms and documents for tax season is done. Don’t squander your efforts! Seize the opportunity to plan ahead. How can you benefit from the time and effort you have put into preparing your taxes? Before you file away your tax return, take some time to discuss with your tax preparer or financial adviser how the 2018 tax changes affect you. Benefit from the time and effort spent preparing your taxes! Rather than just putting away your tax documents, take some time to review information that will be helpful in planning for 2018. There are many changes for 2018, the most significant being the increase in standard deductions. This increase is offset somewhat by the elimination of personal exemptions. To give you a head start on planning your 2018 finances, let’s reviews three areas. First, compare items 1 & 2 for 2017 to determine if there are likely to be any changes for 2018 planning. Have you received a raise, or will your commissions and bonus be higher or lower? Have your employee benefits changed or have costs increased? Next, evaluate items 3 & 4 to determine if the elimination and reduction of any tax deductions make it more likely that you will file 2018 taxes using the standard deduction. Review if your tax withholding amounts need to be adjusted. If your tax liability has gone up, then you may want to increase your tax withholding or make necessary estimated quarterly payments. Does the tax law change benefit you? Finally, if your 2018 tax review indicates the tax law changes will benefit you, take advantage of this opportunity. Perhaps you can capture any increase in your take home income to pay down credit cards or consumer debt, increase your cash reserves, or raise your 401k contribution. For 2018, the maximum 401k contribution is $18,500, or $24,500 if age 50 or older. IRA and Roth IRA limits remain the same at $5,500 and $6,500 if age 50 or older. 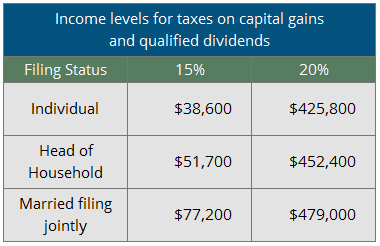 The increased standard deduction levels may simplify your overall tax filing. 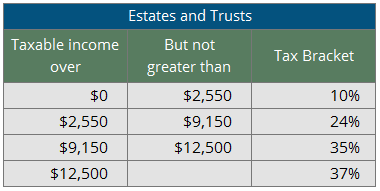 It is important to compare your 2018 estimated taxes using the new allowable deductions versus the standard deduction. The goal is to estimate which tax filing provides the best tax benefit for your situation. For additional information, here is a comprehensive list of IRS Miscellaneous Deductions. Note that IRS publication 529 is for 2017 taxes. 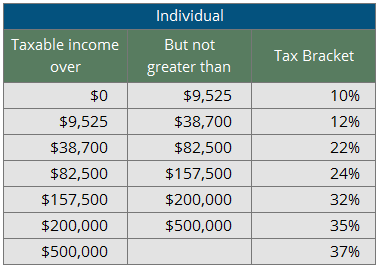 The 2018 marginal tax brackets now consist of seven brackets ranging from 10% to 37%. The increased number of tax brackets allow for additional tax planning strategies. The major impact is the increase of standard deductions. Filing single is now $12,000, filing married is $24,000 and filing as head of household is $18,000. This will eliminate the more complex filing involving itemized deductions for many tax filers. 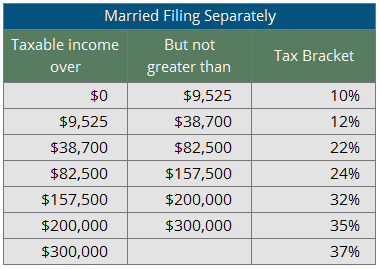 For your convenience I have assembled all the new tax brackets according to your filing status. Look for additional planning strategies! Now is a great time to review your financial planning strategies with us! To get on track for a successful 2018, ask your tax preparer to generate a 2018 tax projection. At Coherent, we are happy to coordinate with you to help answer any questions on how you can benefit from the tax law changes moving forward.